The stars have a plan for your toddler; and as a parent, we’re sure you want a piece of the knowledge that the celestial bodies have to bless you with. Astrology, probably the most ancient and fascinating body of knowledge, has all the answers. We will tell you what your child’s strengths and weaknesses will be, the occupation he/she is most suited for, the general course of his/her life, and a lot more, through our trusted child prediction. All parents want the best for their children. People from all walks of life meet me everyday with horoscopes of their children. I’ve seen thousands of horoscopes, have tracked the life courses of these people, and explored the deepest bodies of knowledge in the field of child prediction. What makes a child grow into a world leader? What makes a child a great businessman? How do we know whether a child needs special care and protection for the upkeep of his/her fragile health? How do we know which occupation is most suited for a child? The answer is in astrology, and I’m here to help you with all the answers you’re looking for. With a celestial roadmap to guide you, it’s guaranteed that you’ll empower your children to make the right decisions at very point of their lives. And that’s the biggest motivation for me to share my experiences and expertise with you through this article. Each child is special, and the level of success he/she attains in life is directly related to these special abilities. With my deep knowledge of astrology and several years of experience in child prediction, I will help you identify these special abilities, so that you can nurture them and ensure the best for your kids. 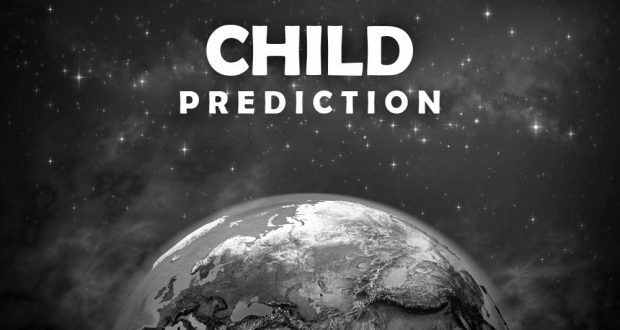 How Child prediction Helps Improve Your Kids’ Lives? The sooner you are able to figure out deep-rooted details about your children, such as their core beliefs, nature, interests, fascinations, fears, strengths, and weaknesses, better it is. This information is like gold-dust, as it helps you nurture the children in the right manner, by creating a healthy and conducive environment around them. Think of these details as the building blocks for your children’s successful and fulfilling lives, and child prediction is the source of all these details. It’s Not Enough To Simply Get Information – Act On it! Although astrology will help you find answers to all the questions related to your children, I want to tell you that just the information is not enough. Let me tell you a couple of incidents I can recall from my years of experience in child predictions. I know a person who had a great desire to know about airplanes since childhood, and the euphoria of childhood continued till his youth. Unfortunately, due to the absence of education and due to compulsion of assisting his father in his work, he couldn’t pursue the right educational courses, and is now struggling doing the job of factory supervisor. As far as knowledge is concerned, he knows exceptionally well about aeroplanes and technicalities of aerodynamics. But because there wasn’t anybody to guide his parents and himself, he is a lot less successful than he deserves to be. Then, there is a person who was the best cricket player of his region in his childhood, in batting and bowling, fielding or wicket keeping. He was the best performer in all the areas but due to the death of his father at a young age he couldn’t do big in his life and now he is a servant in a shop of a cloth market. Here’s another life story. This person worked exceptionally hard, understanding his poverty and the helplessness of his parents. He took advantage of the cemetery’s silence and worked on his voice and on his writing. That person was Kader Khan; unfortunately, he is not in this world today, but his legacy as an actor lives on. Like him, there have been many children who have been compelled to work hard, yet they succeeded in proving themselves. The question is not, whether & how you will ensure the future of your child but the question is how you will know the capability of your child? I am here for you, with all the answers, through my child prediction expertise. To know about the talent of any person, we check the third house of the horoscope. Similarly, to know about education and understanding, we see the fifth house of horoscope. To know whether the success can be achieved in the opposite conditions, we check the eighth house of the horoscope. The sixth house of the horoscope tells about the ability to conquer any stereotype and win the competition. The ninth house is studied for guidance. The tenth house of the horoscope gives us information about the deeds of a person, what he will do for the livelihood. Despite constant failure in efforts, quality of once again collecting the courage can be checked through the twelfth house of the horoscope. So, if you want to know all about your child baby boy or baby girl just give me his / her full birth details & apply for consultation using the link below. The consultation fee for child prediction is 2100 Rs only.